A recent discussion regarding the best burger in Glasgow’s south side on our Facebook page sparked us to head over to Shawlands. We recently reviewed the burger from Eat Cafe, a widely regarded favourite amongst our readers and found it to be pretty darn good. We decided to randomly pick a venue in the south side and head along for the next part of our never-ending burger adventure. Sightly removed from the main Shawlands strip sits 1901 Bar & Grill, a Southside mainstay which has recently been taken over by new owners. The venue is part bar, part bistro and the two sections are separated by a small doorway inside, to the right of bar and can also be accessed separately from the outside. As we were shown to our table and began to browse the burger selection, we were a little confused at the fact that the bistro section appeared to be a tapas bar. The walls were decorated with pictures of bulls, dancers and paintings of grapes and wine and Spanish music was playing on repeat throughout our visit. The wine menu even read ‘La Vida Tapas’ and there were people ordering Tapas next to us, yet there was also a selection of burgers and pizzas to choose from. We later found out that La Vida simply exists as part of 1901, but we still found it to be a very strange combination. 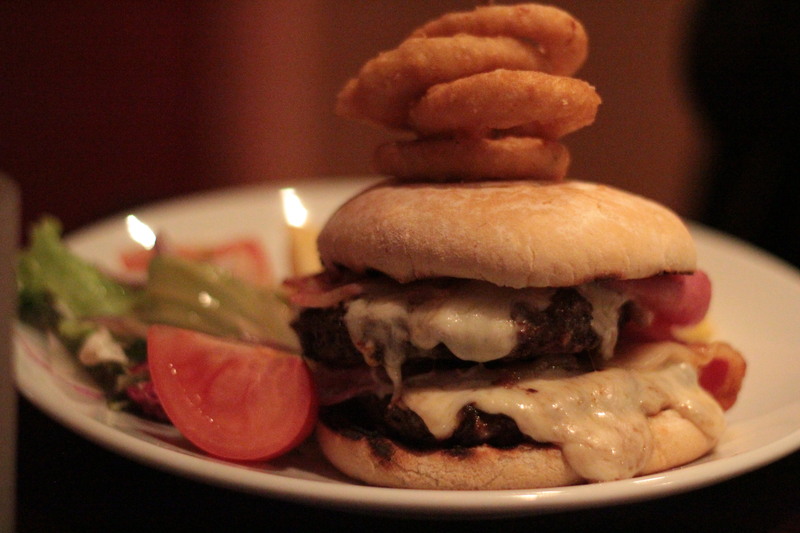 It’s a traditional local pub, tapas restaurant and burger/pizza joint all under one roof. It felt almost as if it just isn’t sure what it wants to be and as a result, it’s identity is somewhat lost. 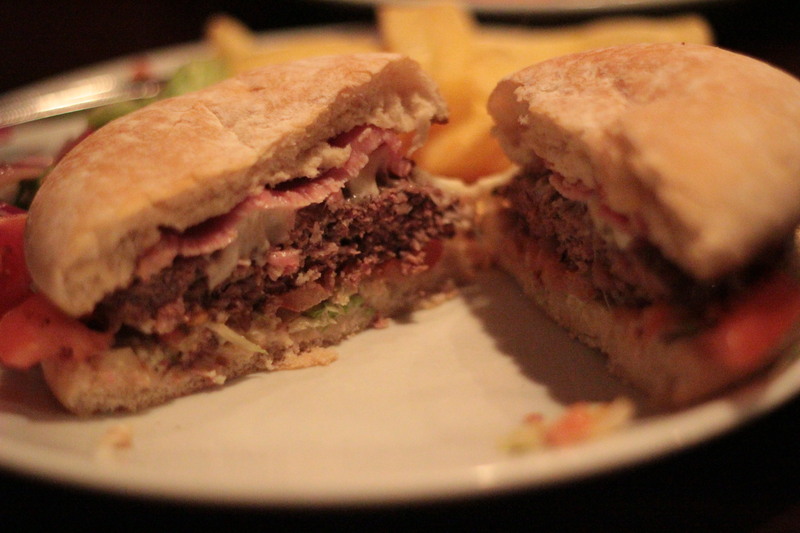 We opted for the signature 1901 burger, consisting of a beef patty topped with mozzarella, vine tomatoes, lettuce and bacon. We also asked for an ‘Elvis’ burger, which is made up of a double stack of patties topped with cheese, bacon and onion rings. I’m not normally a huge fan of the bacon and onion rings on a burger combo and feel that it’s been done by just about every bar out there now, but I wondered if 1901 could perhaps put a new spin on it. The menu states that all burgers are served on a white bun; however, when ours came out, the first thing I noticed was that it wasn’t just a white bun – it was, what we’ve come to know as the dreaded floured bun of doom! Those who read the site regularly will already know that we consider these to be the worst buns that a burger could be served on and throughout our reviews, have found that its usually the sign of a bad burger to come. They are very stodgy, make burgers look boring and flat and always disintegrate within a couple of minutes. These burgers were going to have to be pretty special to outweigh the awful choice of bun. Presentation-wise, they were very average, but this again was down to the bun. 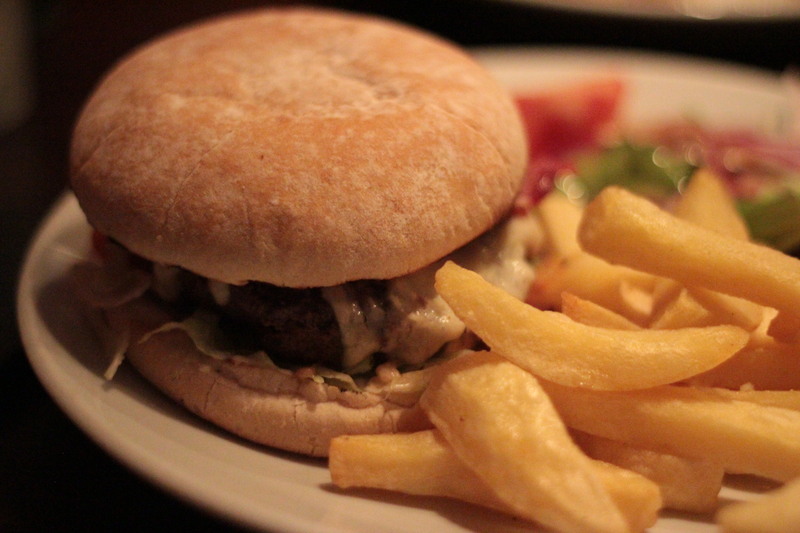 The patties themselves looked nice and were fairly thick but the bun really let it down in this department. 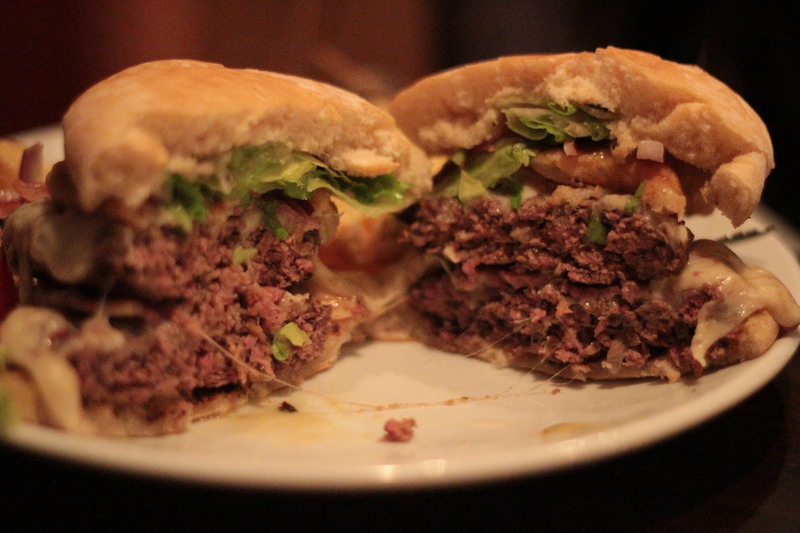 Taste-wise, the patties used for both burgers were actually not as bad as I was expecting, going by the presentation. They were very nicely seasoned and had lovely hints of pink throughout; however, they were quite dry and combined with a topping combination of onion rings, bacon and cheese on an already heavy, stodgy bun, it wasn’t long before I was completely full – and not in a good way. Everything just felt very heavy and dry and imbibed with the flat, tasteless bun, I was ready to give up before long. The 1901 burger was a little lighter, on the other hand. Much like the Elvis burger, it was well seasoned and it’s a real shame that the patties were completely overshadowed by a downright terrible bun and too many dry, heavy toppings that really prevent you from appreciating any of the seasoning present in the meat itself. Both burgers were also very messy and within a couple of bites, the bun was disintegrating and the contents falling on to the plate. There’s probably a good burger lurking in there somewhere, but too many hurdles really prevent us from finding much to recommend about the food at all. At £8.50 for the Elvis burger, I’d much sooner go elsewhere than go back again. A change of bun and a lighter, less stodgy combination of toppings would go a long way to improving this burger considerably.There are much better, and in some cases, probably even cheaper buns that could be used to compliment a well-seasoned patty like this. The fact that so many bars and restaurants continue to use this same bun really surprises us as it’s simply not good. At all. The sooner we see the back of it, the better. A well cooked, if slightly dry patty, let down by pretty much everything else. + Very well seasoned patty. – Very heavy, stodgy combination of ingredients. 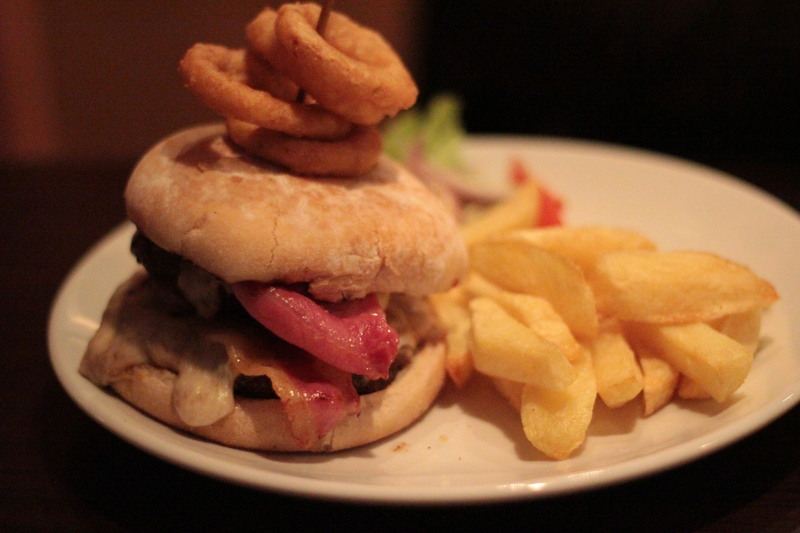 They do some good real ales there… hope you managed to wash the burger down with one.